We are pleased to announce a new version of our Infection Monkey open source attack simulation tool with several significant enhancements. We first introduced the Infection Monkey in 2016 and have continuously developed and supported it. Part of what we did came from feedback we received from our community so thanks everyone for contributing! 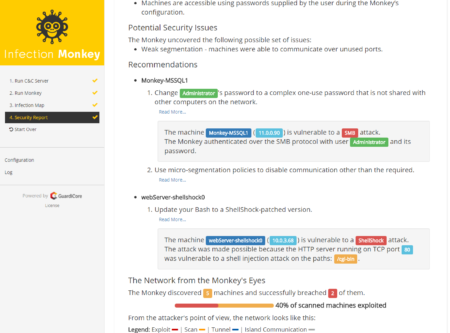 This new release introduces improvements to every part of the Infection Monkey including usability, exploit abilities, extended platform support and more. 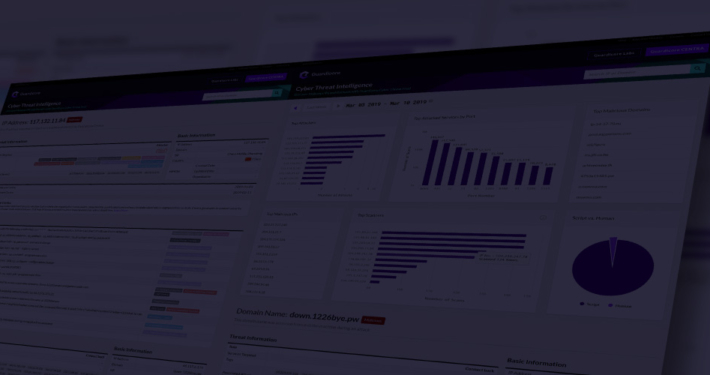 The Infection Monkey is an open source self-propagating testing tool that is designed to assess the resiliency of private and public cloud environments to post-breach attacks. It does that by simulating common attack scenarios. Once it has breached a machine it uses stolen credentials, safe exploits and other attack techniques to propagate across the network. The Infection Monkey spreads automatically and infects other machines, clearly highlighting all vulnerable systems in its path. 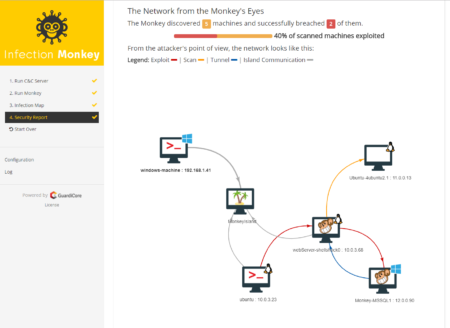 A network map visualizes every move of the Monkey along with a security report with findings and recommendations. Chaos engineering is a rising concept in software engineering built around simulating extreme conditions and observing how the system performs. The Infection Monkey is our take on chaos engineering principles. 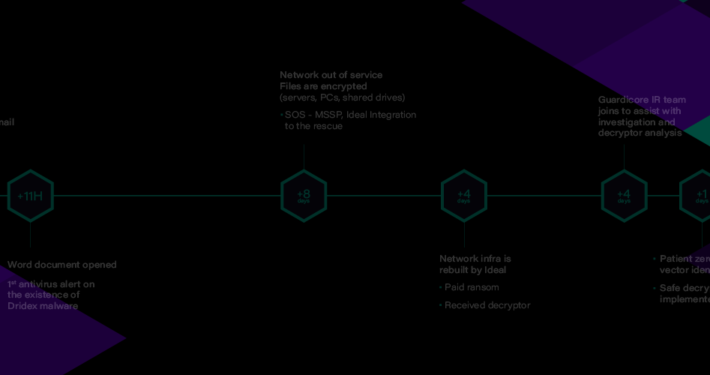 Our goal is to bring “controlled chaos” into network security. By constantly simulating breaches into random parts of your network you can test how well your security controls work – all the time. New user interface design: The Infection Monkey UI has been completely redesigned, enabling fast deployment and easier, continuous use. Evaluating your security posture in 3 easy steps: Launch the Monkey from any given machine, let it simulate an attacker and act on its findings and recommendations. Visual map display: The Infection Monkey features a dramatically improved Infection Map that visualizes lateral movement inside the network with details of successful and unsuccessful attack attempts, all from the Monkey’s eyes. New exploits: The Monkey detects SambaCry and Elasticsearch vulnerabilities and attacks on Windows machines using the pass the hash hacking technique. Security report: We now provide an elaborate security report at the end of every Monkey session. The report features immediate threats, security issues and actionable recommendations on how to resolve them. Expanded platform support: This release adds support for Docker containers plus AWS, Azure and Google Cloud Platform environments, and has expanded support for Debian Linux and Windows MSI. The Infection Monkey is free and can be downloaded here. Source code is available from the GitHub repository. For questions, suggestions and guidance we encourage you to join the Infection Monkey Google Group. Thank you Indranil, we will be happy to have you as a contributor! Feel free to open an issue or a pull request at our Github page at https://github.com/guardicore/monkey. You’re also invited to join our community at https://groups.google.com/forum/#!forum/infection-monkey. Currently the Infection Monkey does not support running other tools inside it. This is an interesting feature and if you implement this, it’d be great if you open a PR with the code.